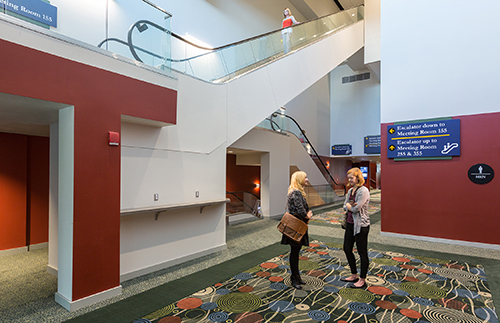 The project consisted of installing six banks of escalators connecting three levels, covering approximately 45 feet of rise. 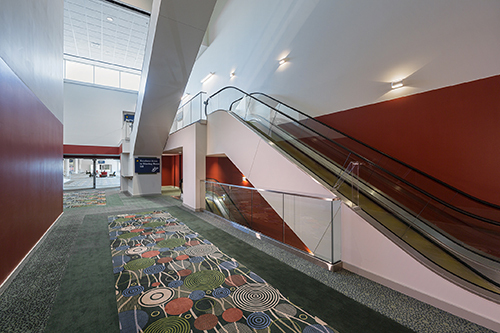 The project area was in the middle of the main concourse hallway connecting two separate sections of the Utah’s largest convention center, the Salt Palace. The project was occupied by conventions and over 1,000,000 attendees for all but 15 days of the accelerated 36 week project. R&O was able to meet or exceed the projected milestones and completion dates and do it all on budget. To aid in the task of scheduling and obtaining site information to prepare engineering and construction submittals R&O employed the use of Building Information Modeling (BIM). In the first week of its use R&O was able to identify two major conflicts with the existing building systems and the construction plans which the design team was able to address before the first structural or mechanical submittals were even created. Several other discrepancies were discovered and solutions developed that could not have otherwise taken place without BIM. Without BIM several of these conflicts would have not been discovered until several weeks into construction and would have cost significant amounts of time and money to correct.